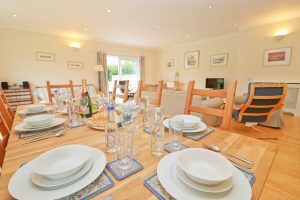 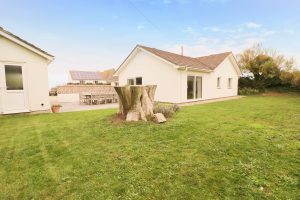 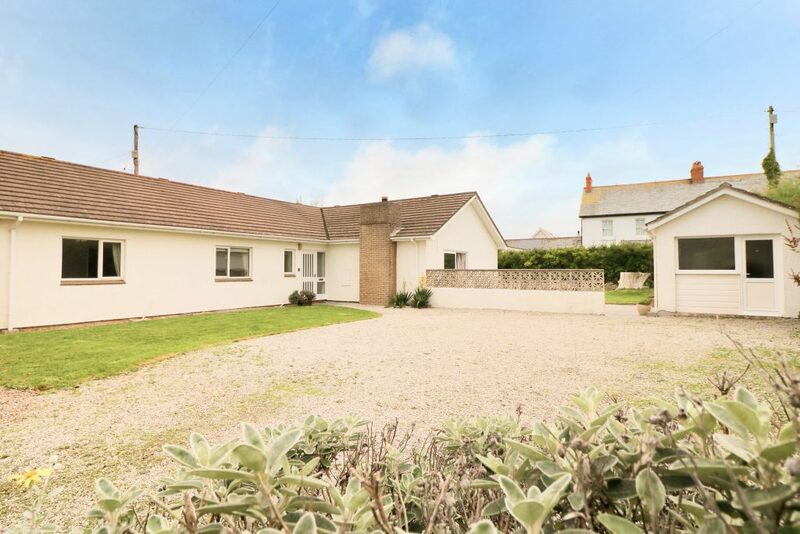 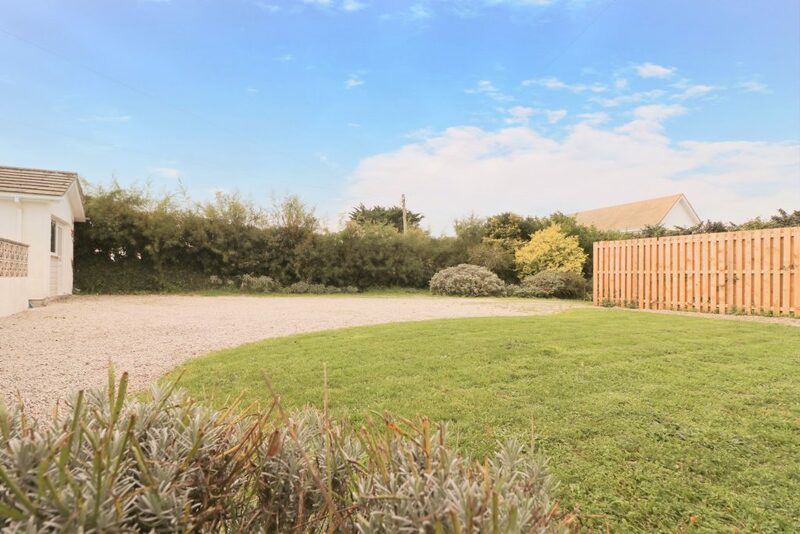 Positioned at the end of a long, private driveway opposite the Constantine Bay Stores, within a few minutes’ walk of the sandy beach and the Trevose Golf & Country Club, Flintstones is an ideal holiday home with a successful, established holiday letting history. The low maintenance gardens are laid predominantly to lawn and there is a view of the sea from the spacious terrace, which leads off the sitting & dining room. 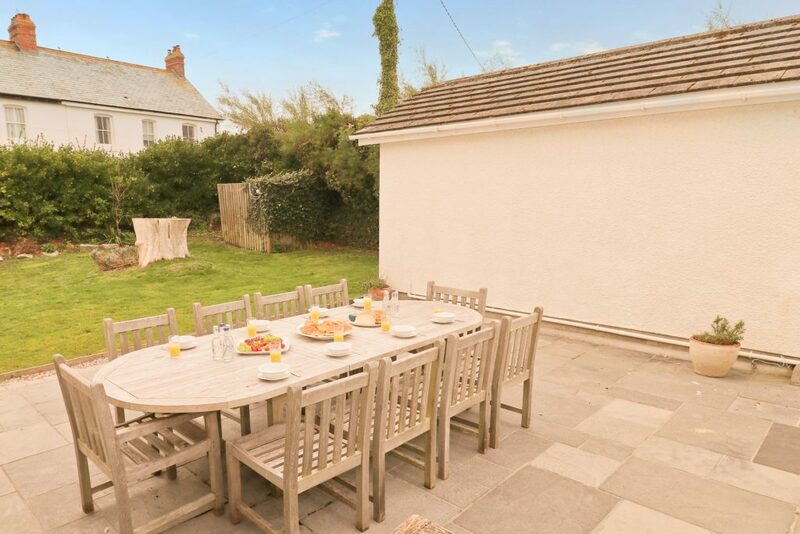 Plenty of parking & turning space is available at the front and the detached garage provides a useful utility room and surf store. 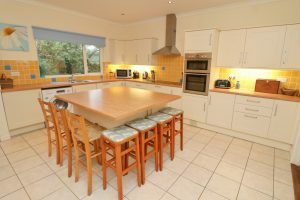 Internally, the property is very spacious with features including a lovely large living space, dual aspect with two sets of patio doors opening to the garden & terrace, and double doors lead in to the modern fitted kitchen with central island and integrated appliances. 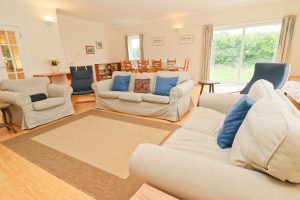 Each of the five bedrooms are of double size, the master with en-suite shower room. The family bathroom with free standing bath and separate shower, plus another separate shower room, complete the accommodation.